Sacramento has turned its back on the Forgotten Taxpayer! Government will be back asking for more in nine years! Citizens In a recent poll said they do not trust Government to spend their tax $$ as it said it would! Taxpayers need to provide tough love by saying NO ON J! As it is, only 20 cents out of every transportation tax dollar that you pay actually hits the pavement. Do you recall The Beatles singing their 1966 hit, The Taxman? Well, I recall that hit, however, haven’t heard about the State taxing our ‘seat or feet’ as yet! But, there are now 17 state initiatives (several are tax initiatives) slated to be on the November ballot, and more are expected to be placed on the ballot by the State Legislature in the coming months…and don’t forget those possible local tax initiatives. 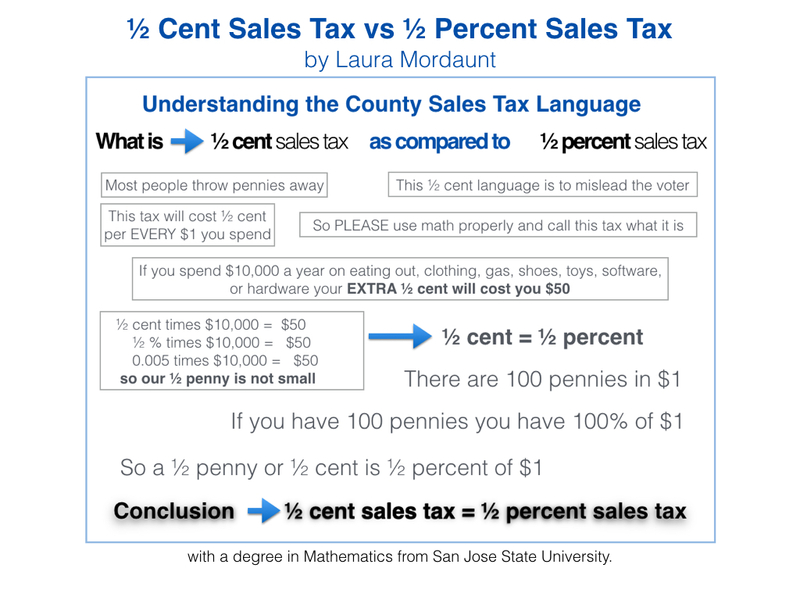 Join CCTA in saying NO to the proposed Self-Help County 1/2 Percent Sales Tax. Nonetheless, billions of taxpayer dollars continue to be wasted on programs such as the high-speed rail project — now estimated to cost over $100 billion. 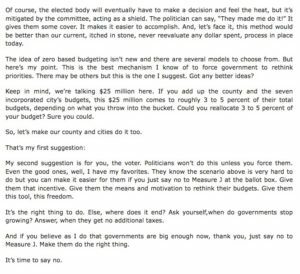 Rather than spending these taxpaying dollars on repairing our crumbling roads, Sacramento politicians are asking you and me to foot the bill. Caltrans is bloated bureaucracy at its worst. Currently, the department is overstaffed by 3,300 architects and engineers that cost roughly $470 million per year. 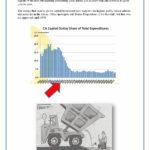 Caltrans’ financial books are in such disarray that they have not been auditable to the satisfaction of the Legislative Analyst’s Office and the State Auditor. But, instead of cleaning up and streamlining this failed bureaucracy, Sacramento politicians are simply asking us to pay more. Another tax increase is not the solution to our problem. Sacramento politicians need to prioritize spending, cut the waste and bureaucracy, and fix our roads. They need ‘to feel the heat’ of you, the forgotten taxpayer, in order to understand. 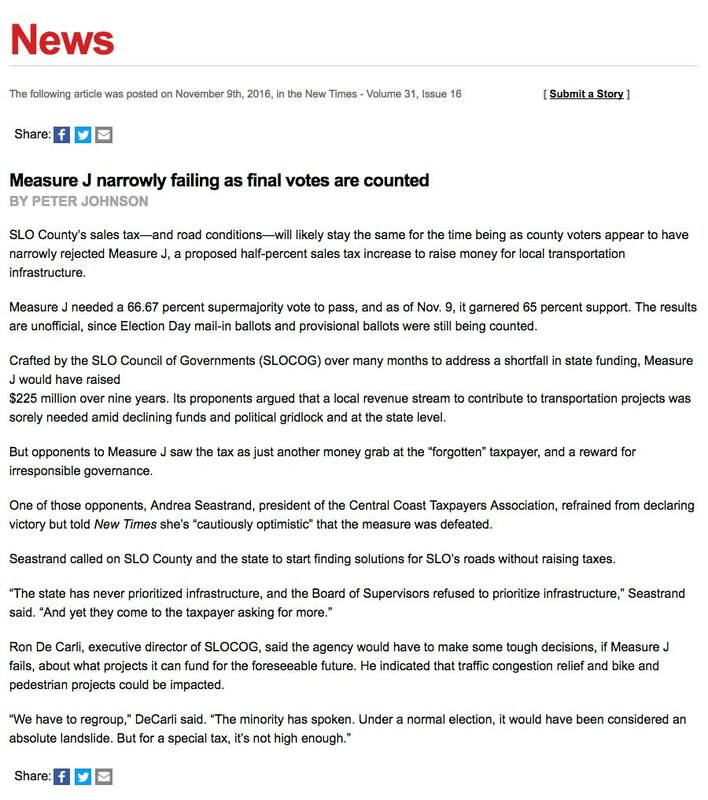 VOTE NO ON MEASURE J.
San Luis Obispo County taxpayers cannot count on the Governor, State Legislature, nor County Board of Supervisors to make transportation infrastructure a major priority. They haven’t! 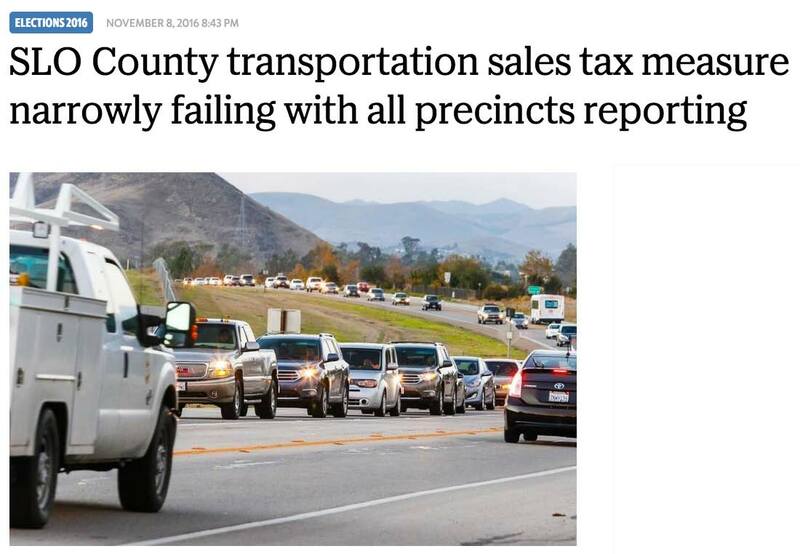 Most cities within this county have a sales tax for transportation, and now all levels of government are asking you to vote for an additional county sales tax, even though the already high state taxes and fees designated for transportation have been diverted to the state general fund for bullet trains, public pensions and the bloated, inefficient Caltrans. California’s current per gallon gasoline tax, vehicle registration tax, driver’s license fees, vehicle license fees, greenhouse gas emissions tax, and truck weight tax are the highest in the nation, but still result in substandard road conditions. 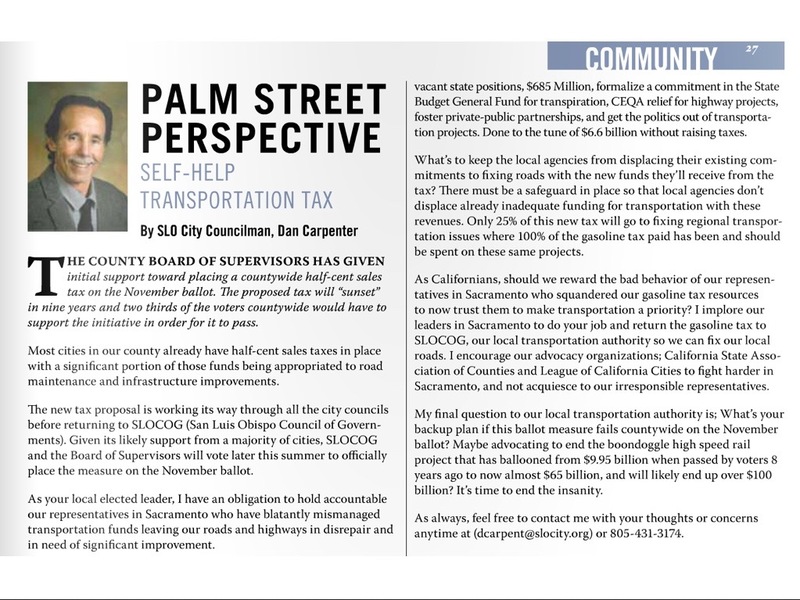 The Orange County Business Journal reports…”As it is, only 20 cents out of every transportation tax dollar that you pay actually hits the pavement.” Why let the Sacramento and local politicians off the hook, then add insult to injury by asking you to pay again? The solution is not more taxes, but it’s putting rigorous state safeguards in place to ensure the money collected for transportation goes to fix our roads. 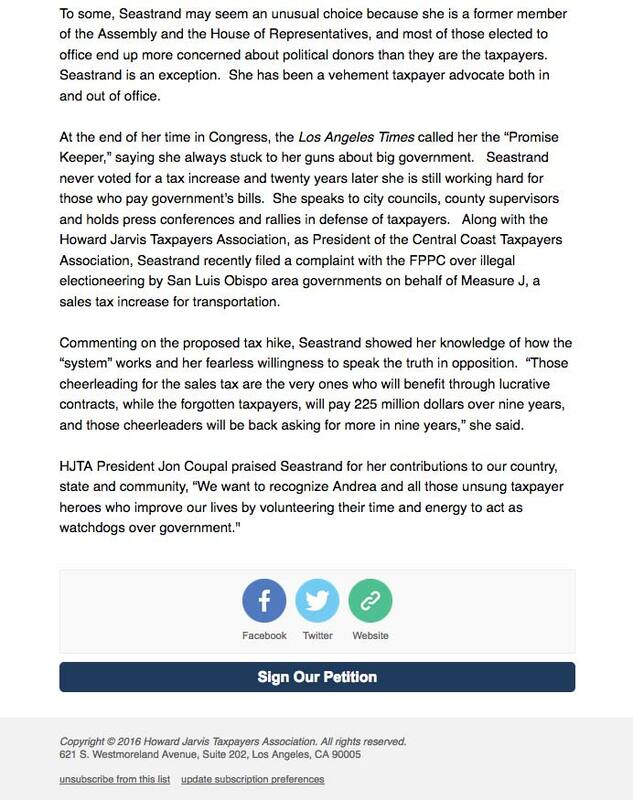 Those cheerleading for the sales tax are the very ones who will benefit through lucrative contracts, while you, the forgotten taxpayer, will pay 225 million dollars over nine years. Like that famous movie quote, “I’ll be back!”, they will be back asking for more in nine years. Taxpayers need to provide tough love by saying NO ON J! 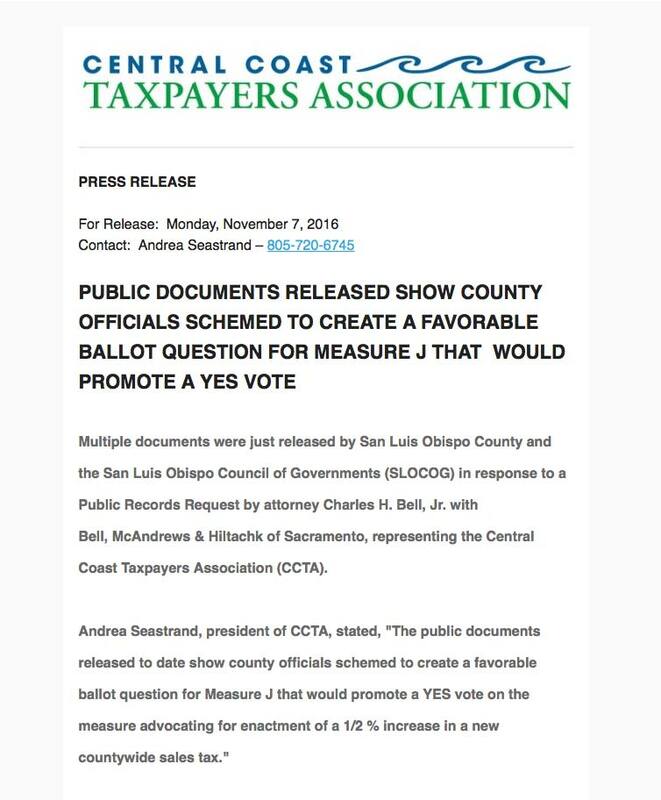 Public Documents • Show County Officials Schemed To Create A Favorable Ballot Question For MEASURE J • Promoting • Yes Vote! 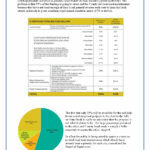 Only 55% of tax dollars to be raised by Measure J will go to local roads! Don’t be fooled! Vote NO ON J! The United States has one of the longest-lasting constitutions in the world. That’s a testament to the foresight and knowledge of our Founding Fathers, who knew how to design a system that guarantees individual rights and freedoms. Despite being blessed with one of the most stable governing systems in human history, there are calls to have a constitutional convention to rewrite large parts of it. Some proponents want to eliminate the Electoral College while others want to enact a balanced budget requirement or repeal the Citizens United decision on political campaign spending. Using a constitutional convention to further a narrow political agenda is a dangerous idea because there is no guarantee it would be limited to a single issue and could result in a rewrite of the entire Constitution. It takes the approval of 34 state legislatures to call a convention but once called for, they would have little influence on the result. Former U.S. Supreme Court Chief Justice Warren Burger cautioned that a convention could even devise its own rules for how many states would need to approve any constitutional changes stemming from its decisions. Calling for a new constitutional convention governed by its own rules and procedures would give an unprecedented amount of power to one decision-making body. Once called for, it would be impossible to control and would likely be heavily influenced by powerful special interests. There is no telling what long-lasting changes could be forced on the country. The push to rewrite the Constitution is just the latest in a long string of attacks on the rights that it guarantees every American. We see assaults on the First Amendment and free speech across the nation — particularly at universities where any dissenting thoughts or opinions that challenge dominant campus ideologies are met with protests and violence, as we have sadly seen in Berkeley. The Second Amendment is particularly under attack here in California, as every year the state Legislature adds to a mind-numbing list of restrictions and rules on legal gun owners. Of course every American should be concerned about the steady erosion of the Fourth Amendment and our protections against unreasonable search and seizures. Not only do we need to fight against the efforts to steadily erode our existing constitutional rights, we need to firmly reject calls for a constitutional convention with unchecked power. The sooner we recognize how fortunate we are to live in a stable republic based on the foundation of our current constitution, the sooner we can resist calls to rewrite it based on the political fights of our day. Calling for a constitutional convention would be a huge risk with little control on what it would result in. It could have devastating permanent consequences that change the course of the United States forever, and no short-term political victory is worth that price. With the recent vote by the legislature to extend the Governor’s cap-and-trade proposal, there have been a number of questions about the bill’s merits. AB 398 will result in higher prices at the gas pump – by as much as 73 cents per gallon. This is a very real cost that families and small businesses across the state will have to bear and it comes on top of the new 19 cent per gallon gas tax the legislature passed this year with SB 1. 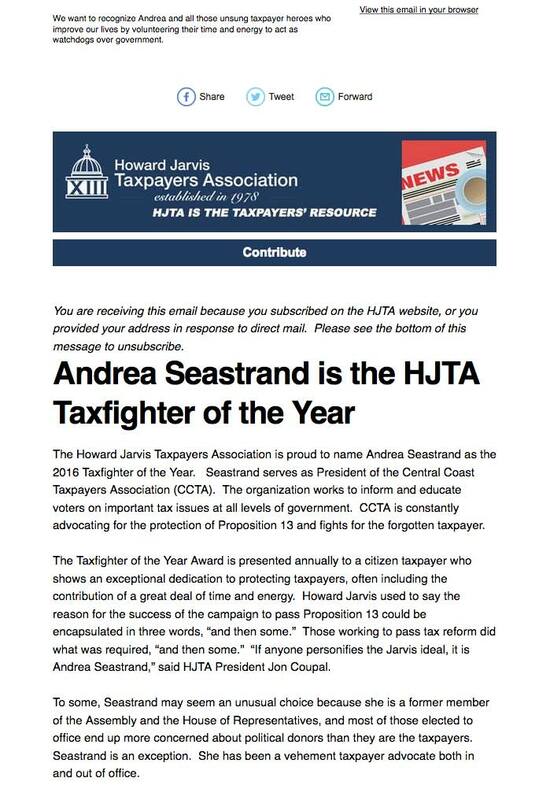 That is why it was opposed by the Howard Jarvis Taxpayers Association. AB 398 was passed in the name of fighting climate change, but this bill did not set any new clean air requirements. 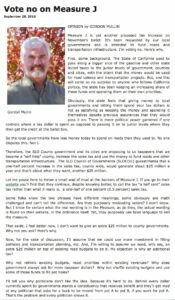 It was simply a way for the Governor and the majority party leadership to create a multi-billion-dollar slush fund. Under the cap-and-trade scheme, it is expected that $10.5 billion will continue to go toward funding the Governor’s high-speed rail train – a project that will actually increase carbon emissions, not decrease them. 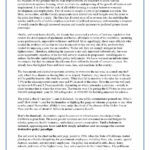 During his testimony on AB 398, the Governor contended that without cap-and-trade, “The [Air Resources Board] will regulate…in a way that is not efficient…that will be three to five times more costly,” calling the board’s potential approach an “extensive, massive, intrusive regulatory burden.” In making this case, the Governor and Democratic leaders admit they do not have confidence in their appointed bureaucrats to the Air Resources Board to enact regulations that won’t destroy our state’s economy.Keep in mind that of the 14 members of the Air Resources Board, 12 are appointed by the Governor. The website for the Air Resources Board says these members serve “at the pleasure” of the Governor. If the board took action that was detrimental to our state, couldn’t the current Governor, or any future Governor, remove members and appoint replacements? AB 398 would not be needed if the Governor simply had the courage to instruct his own appointed bureaucrats at the Air Resources Board to implement clean air standards in the least costly way possible, but that solution would not have raised billions in new gas taxes for high-speed rail and other big government programs. 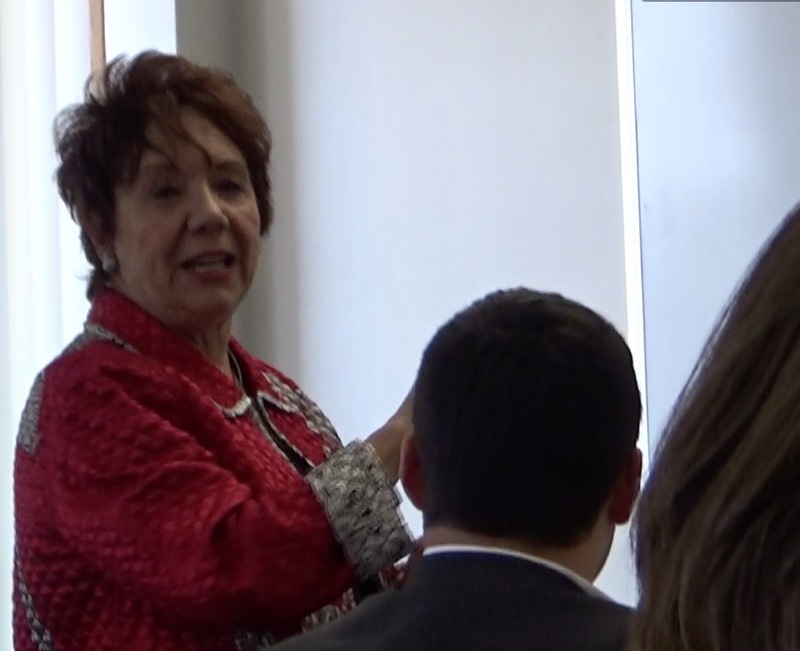 AB 398 helped many multi-national corporations by taking the burden off them in meeting low-carbon standards and making individuals and families pay more in gas and fuel costs. The National Federation of Independent Business (NFIB), which represents small business owners, opposed this legislation because of the heavy cost it will impose on small businesses and consumers. 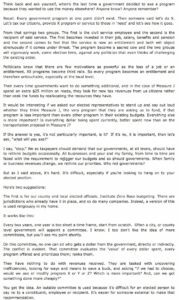 It is the duty of legislators to help all businesses – big, small, and midsize. If you only help large businesses, that is crony capitalism. We should be legislating opportunity for all and favoritism toward none. Proponents say AB 398 is a market-based solution, but who is running the current cap-and-trade system? The Air Resources Board. Who will continue to run cap and trade? The Air Resources Board. This is a government-created scheme, not a free market. At the end of the day, my job is to protect the everyday citizens of our community and state. With the taxes this bill imposes, there is no benefit and no services rendered to justify what is being paid out by Californians – only pain at the pump. For further information, I encourage you to read more below. According to a letter from the nonpartisan Legislative Analyst’s Office to Assemblyman Vince Fong (R-Bakersfield), the price of gas will increase by as much as 73 cents per gallon. This government-imposed cost is another tax. Nationwide fuel estimates are approximately 850 gallons a year for an average household. Cap and trade, combined with an average annual $400 in SB 1 gas tax household costs, will amount to $1000 of completely new fuel taxes every year by 2030. Californians are already some of the most overtaxed citizens in the entire country – and there are few results to show for it. We have the highest statewide sales tax, yet 1 in 5 Californians live in poverty and our state has 34 percent of the nation’s welfare caseload. For over a decade, 500 CEOs rank California 50th in business friendliness. Even though our gas taxes are already among the country’s highest, our roads don’t show it. Still, drivers will be forced to pay another 19 cents per gallon of gas come this November. On top of it all, our schools are failing and families are being priced out of their homes. The one-party system has failed us and shown little real interest in making things better. They are perfectly content letting unelected bureaucrats run our state. How can we trust their motives on something like cap and trade – a scheme that they themselves admit is a tax and will increase gas costs? Victorville Daily Press Editorial: Our View: Cap and trade or tax and deceive? Letter from Senate Republican Caucus to Governor Brown. It was big business interest groups that worked to push this bill through, not small businesses. The end result is that while industry and big business were able to carve out a deal they feel works for them, small businesses and families will get stuck with paying most of the costs. I want to help all businesses in California thrive, from those that employ thousands to the mom-and-pop shop on the street corner. Unfortunately, AB 398 hurts ordinary Californians. Ironically, many of the industries that lined up in support have historically been opposed to the state’s costly climate programs. Rather than play to win, they decided to play to lose by ceding victory in order to claim a less stinging defeat. One comment made was that they chose the lesser of two evils. At end of day, using that analogy, they still chose evil. The Governor and majority party leaders threatened that if the legislature did not pass this bill and extend cap and trade, the unelected Air Resources Board would implement more stringent regulations that would drive up the cost of gas even higher than the projected 73 cents per gallon. However, in making their case, the Governor and Democratic leaders admit they do not have confidence in their appointed bureaucrats at the ARB to enact regulations that won’t destroy our state’s economy. If this is such a great concern, why not pass legislation to restrict the ARB’s authority? Why give the ARB even more power to draft the regulations that will implement this new scheme? By giving the ARB such wide latitude, AB 398 trusts unelected and unaccountable Sacramento bureaucrats with looking after our best interests. The Legislature is unable to modify any of the proposed regulations as they are being prepared and this bill empowers the ARB to determine the floor and ceiling price of the allowances being sold, effectively controlling the price we pay for everyday items. This will give that agency enormous power over our pocketbook and our state’s economy. This cap-and-trade debate has little to do with the environment and everything to do with making sure government programs like high-speed rail get more funding. That project is an environmental fraud that will actually increase greenhouse gases for decades to come, and is currently $42 billion short of the money needed to finish. 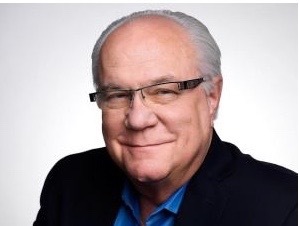 Well, the contortionists are stretching their limbs even farther these days on behalf of the bucket of horse slop that is Assembly Bill 1250, which cleared the Assembly June 1 (with backing from Joaquin Arambula of Fresno) and on July 12 passed the Senate Governance and Finance Committee…. It would cripple the ability of California counties to deliver services to our most vulnerable and neediest citizens by making it more expensive or virtually impossible to contract with local nonprofits…. This bill is so bad that California cities universally objected to it…. The list of respected organizations opposed to AB 1250 might consume an entire page of this newspaper…. From public safety, there are the California District Attorneys Association, the California State Sheriffs’ Association and the Chief Probation Officers of California. 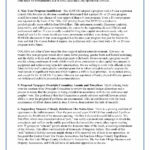 From health and human services, there are the California Hospital Association, California Association of Public Hospitals and Health Systems, the County Behavioral Health Directors Association of California, the County Health Executives Association of California, the County Welfare Directors Association of California, and ACT for Mental Health and Wellness…. From the nonprofit world, there are Fresno-based Reading and Beyond, which is one of the most effective groups of its kind in the nation; the Fresno County Economic Development Corp., Visalia-based Turning Point of Central California, and Centro La Familia Advocacy Services. 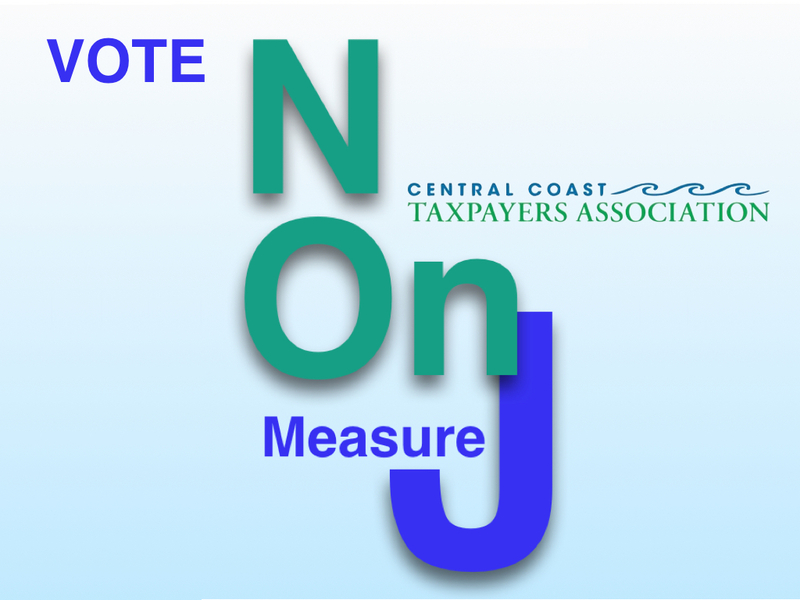 Central Coast Taxpayers Association No on Measure J-16 Committee – FPPC ID # 1389257. The Committee may accept contributions of any amount from any source. Contributions of $100 or more will be itemized on the Committee’s campaign disclosure reports. Donors of $10,000 or more to all California state and local campaign committees in a calendar year must file Major Donor Reports. 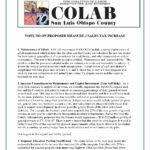 For further information, contact the Fair Political Practices Commission at 916-322-5660. 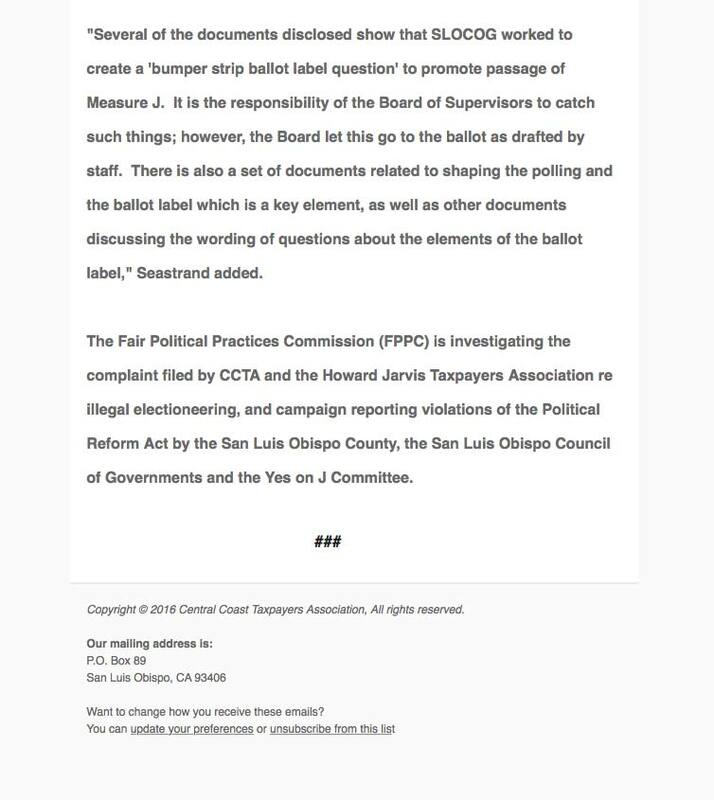 Disclaimer: Paid for by The Ballot Measure Committee – No on Measure J – Sponsored by the Central Coast Taxpayers Association, FPPC ID # 1389257.